Nick is the author of five unpublished literary novels; his sole published full length fictional work is a political thriller Operation Emerald, in collusion with an Irish relative, under the pseudonym Dominic McCartan. This book was on the shortlist for the Triple First Award, judged by Graham Greene and William Trevor, though the prize was never awarded after a disagreement between the sponsors, The Bodley Head, Penguin Books and The Book Club Association. 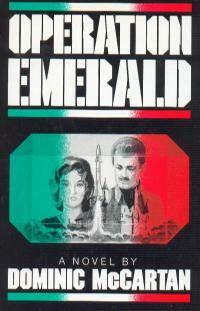 Operation Emerald was republished in the US by Dembner Books (ISBN 0 934878 77 3) and is available from Amazon's [amazon.com] out of print service.